Seven Deadly Questions With Wyland Reden | The Watercraft Journal | the best resource for JetSki, WaveRunner, and SeaDoo enthusiasts and most popular Personal WaterCraft site in the world! 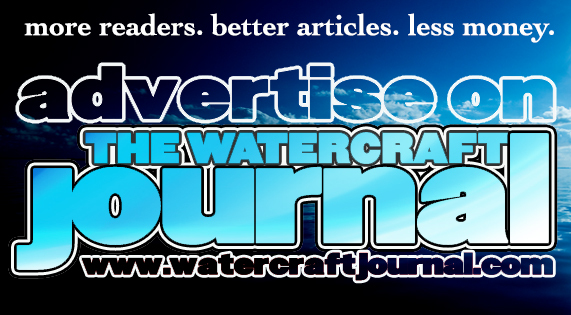 The Watercraft Journal: Tell our readers a little bit about yourself, and about who first got you riding. Wyland Reden: [I’m] 11-years-old, and lived on the big island of Hawaii for almost four years. I was in the ocean everyday during that time. My dad bought two 550 Kawasaki’s, he gave me the 1989 ski. By his mistake, he gave me the faster one! His was slow as molasses. Sometime at the end of 2013, we started riding at Lake Elsinore and Oceanside harbor. 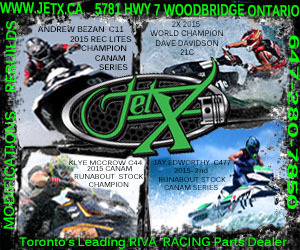 WCJ: What got you interested in racing? Where and when was your first race? What class did you race? How did you do? WR: My uncle Shaun used to race way back in the day. He gave my dad some buoys to help him learn to ride. But instead, it helped me more. My dad is new to the race scene. He grew up surfing and was a pro surfer back then. He is great in the ocean, surfs, SCUBA dives, freedives and all the other stuff, but struggles to keep up on his ski. He cuts buoys to try and stay in front of me. 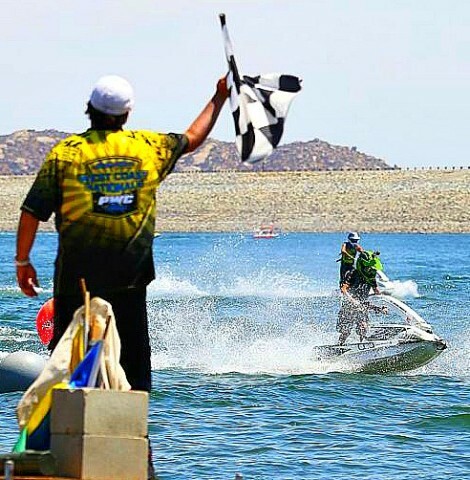 My first race was at Lake Perris in the 2014 Jettribe West Coast series. 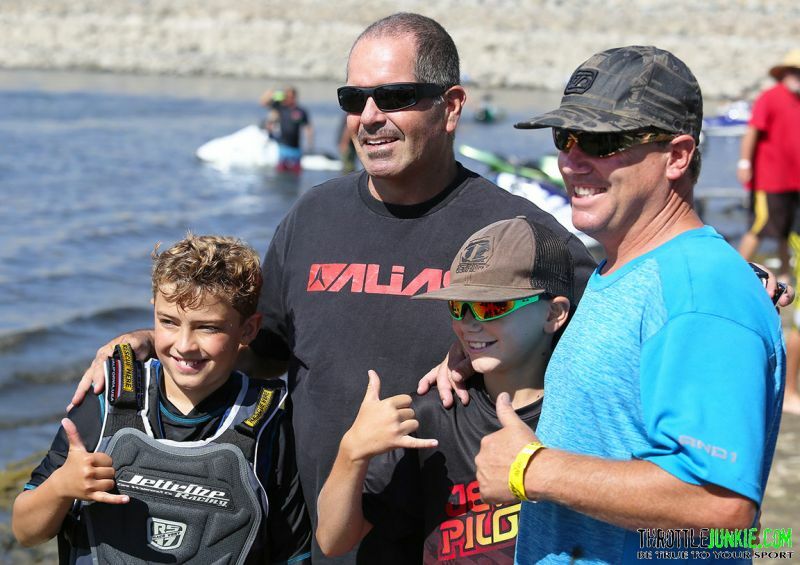 My friend/coach, former world champion Mike Yellich (known as “Mauler”) wanted me to race the juniors, just to get a taste to see how I would do and to see if I would like it. He told me I would get smoked by them since all kids were racing 800s and they had a lot of experience – but study the lines they were taking. He was right. I got “smoked” but learned a tremendous amount. WCJ: Why are you choosing to race vintage? Have you ever been on an 800? How was it? Well, I saw the all the legends racing 440s and 550s on YouTube. I wanted to ride like them. All my favorite riders raced 550s. 550s are the most challenging skis to ride. They are not stable and very squirrely which makes them fun. Yes, I have ridden a couple 800s, and even a 950. I like them, they are much easier to ride, they turn on a dime, much faster and plow through any chop. They will be fun to race in the future. WCJ; Who are favorite riders? WR: I have watched and learned the most from videos of Jeff Jacobs, Mauler, Chris Fischetti, Chris MacClugage and Victor Sheldon. 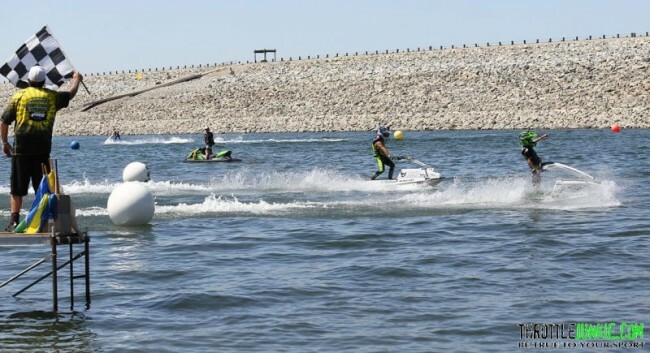 I’m a big fan of Aaron Geweski and Brock Austin, and look forward to seeing them race GP class at World Finals 2015. My teammates Brooks D’Antonio and Brian Holland are awesome riders and great mentors. I think they are going to do extremely well at Finals. But by far, Mark Gomez is my all time favorite, a legend in the making. He puts on the ultimate show! Shreds anything he rides. Always positive and in good spirits and a great role model for all of us. He is the huge reason why I and my friends are so much into this sport. We all want to ride like him. WCJ: Tell us about your race boat, what do you like about it? Who works on it? Do you wrench on it? WR: Last year my dad upgraded me to a 1991 Kawasaki 550 with a reed motor that he bought from a really cool family that races the 800s. They no longer used it so they brought it from Utah to Lake Havasu, and met us at Chris Fischetti’s race. I raced it that day. It has a few aftermarket parts, like a factory halfpipe and dual carbs. It sounds really cool. Dad worked on all my skis but struggled with the major stuff. Mauler helped my dad build my ski. Now Jason with BJ’s Performance does all my motor work. 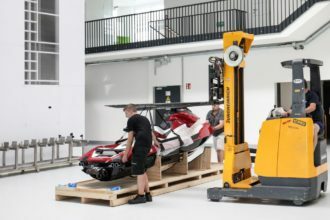 BJ’s builds race skis and incredible 550s. 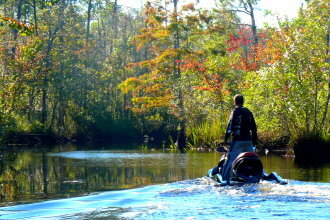 WCJ: What lakes you like to ride at? WR: My dad calls it “Leech Lake.” And yes, there are lots of leeches. It’s always an adventure. We have to 4WD back there. It usually takes us 25-to-30 minutes on dirt roads. There is a shorter way we can take though its super gnarly. My brother and I call it “Heart Attack Hill.” Its super steep with huge roots and rocks next to a cliff. My uncle followed us one time and he ripped off his running boards. One time my mom was with us and dad decided to take her that way. Holy cow, she cursed him the whole way. WCJ: Who would you like to thank? Sponsors? WR: I am extremely grateful of my parents, without them I wouldn’t be in this sport. My sponsors have been a huge help! 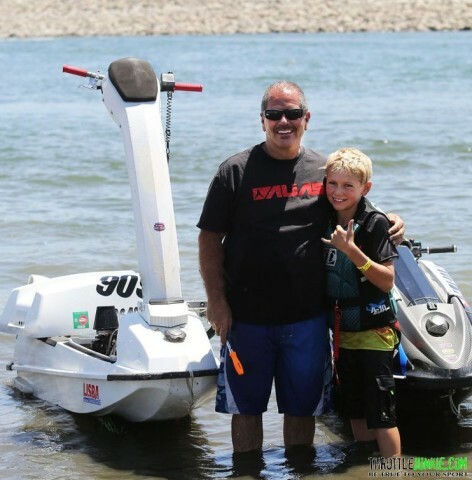 Mauler has been there since the beginning helping with ski and coaching. BJ’s Performance, Jason is a great mechanic/rider he works on my motor making fast and reliable. 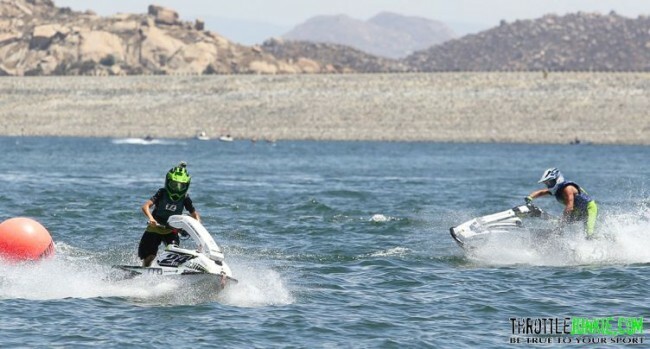 Team riders Brooks and Brian are always giving me great tips and help with ski, Impros Impellers, Havasu Watercraft Escondido, IPD Graphics, Jet Renu, C-57 and Charles Sims, JetPilot, Aquanuts, and Mark Gomez. I am so thankful of these people! I would not be able to race without their help.